The most important weapon against influenza that you can add to your herbal arsenal is elderberry extract . 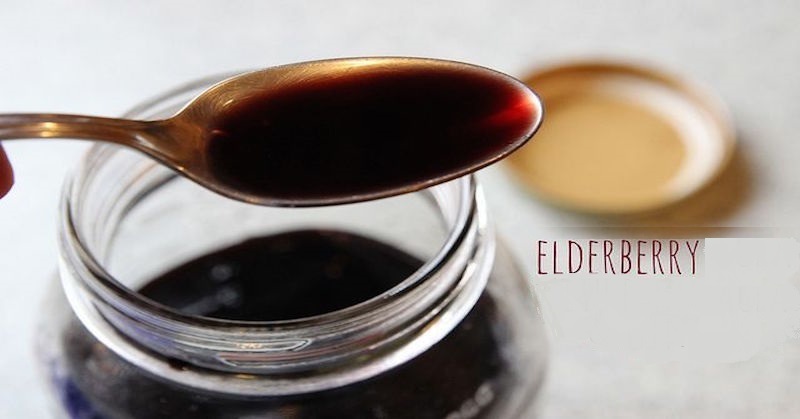 Whether you are concerned with the seasonal flu or the potential of a deadly strain of influenza becoming pandemic, elderberry extract is a vital addition to your vault of flu remedies. Unlike the highly touted flu shot, black elderberry has actually been conclusively proven to be effective. It is one of the few natural remedies that has been written up in the medical journals. The studies I’m listing here are based on black elderberry extract (Sambucus nigra L) – name brand Sambucol. According to PubMed: Sambucus nigra L. products – Sambucol – are based on a standardized black elderberry extract. They are natural remedies with antiviral properties, especially against different strains of influenza virus. Sambucol was shown to be effective in vitro against 10 strains of influenza virus. In a double-blind, placebo-controlled, randomized study, Sambucol reduced the duration of flu symptoms to 3-4 days. Elderberry has been used in folk medicine for centuries to treat influenza, colds and sinusitis, and has been reported to have antiviral activity against influenza and herpes simplex. We investigated the efficacy and safety of oral elderberry syrup for treating influenza A and B infections. Sixty patients (aged 18 – 54 years) suffering from influenza-like symptoms for 48 h or less were enrolled in this randomized, double-blind, placebo-controlled study during the influenza season of 1999 – 2000 in Norway. Patients received 15 ml of elderberry or placebo syrup four times a day for 5 days, and recorded their symptoms using a visual analogue scale. Symptoms were relieved on average 4 days earlier and use of rescue medication was significantly less in those receiving elderberry extract compared with placebo. 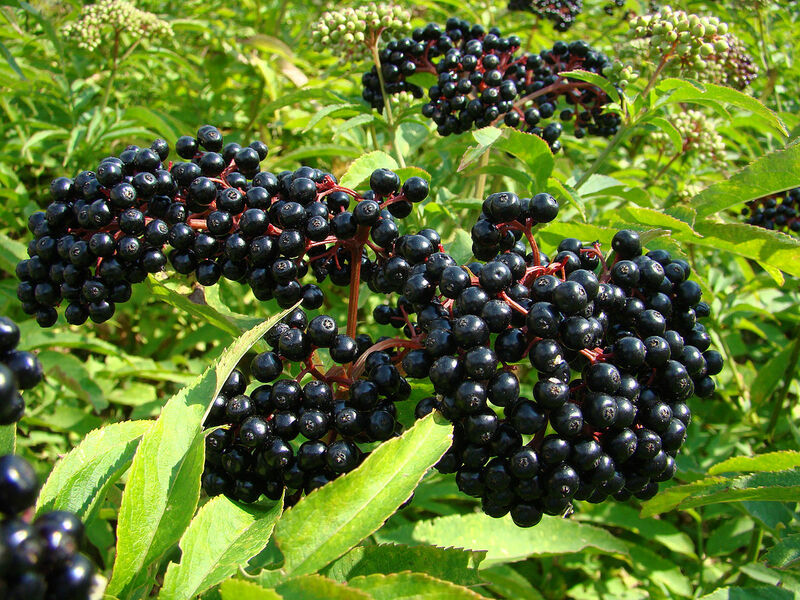 Elderberry extract seems to offer an efficient, safe and cost-effective treatment for influenza. The medicinal use of the elderberry is nothing new. Mentioned in ancient medicinal texts, the humble black elderberry has been used as a multi-purpose treatment for centuries. In 400 BC, Hippocrates referred to the elderberry bush as his “medicine chest” because of its varied uses, and it was mentioned several times in the writings of Pliny the Elder when he recorded the practices of the ancient Romans. To learn more about the historical uses of all components of the elderberry bush, check out this detailed article on Botanical.com. Scientists have isolated the active compound in the elderberry. It is called Antivirin and is found in proteins of the black elderberry. The compound prevents the flu virus from invading the membranes of healthy cells. According to a study by Zacay-Rones in 1995, black elderberry was proven to be effective against the Avian flu, specifically Panama B strain. A standardized elderberry extract, Sambucol (SAM), reduced hemagglutination and inhibited replication of human influenza viruses type A/Shangdong 9/93 (H3N2), A/Beijing 32/92 (H3N2), A/Texas 36/91 (H1N1), A/Singapore 6/86 (H1N1), type B/Panama 45/90, B/Yamagata 16/88, B/Ann Arbor 1/86, and of animal strains from Northern European swine and turkeys, A/Sw/Ger 2/81, A/Tur/Ger 3/91, and A/Sw/Ger 8533/91 in Madin-Darby canine kidney cells. A placebo-controlled, double blind study was carried out on a group of individuals living in an agricultural community (kibbutz) during an outbreak of influenza B/Panama in 1993. Fever, feeling of improvement, and complete cure were recorded during 6 days. Sera obtained in the acute and convalescent phases were tested for the presence of antibodies to influenza A, B, respiratory syncytial, and adenoviruses. Convalescent phase serologies showed higher mean and mean geometric hemagglutination inhibition (HI) titers to influenza B in the group treated with SAM than in the control group. Sambucol has been shown to reduce the symptoms and the duration of flu sufferers. It has been tested on both Influenza A and Influenza B strains. In one study it was noted that subjects taking Sambucol instead of a placebo took fewer over the counter medications to relieve symptoms like fever, aches and congestion. Thom’s findings were presented at the 15th Annual Conference on Antiviral Research in 2002. The study has been accepted for publication in the Journal of International Medical Research. The study involved 60 patients who had been suffering with flu symptoms for 48 hours or less; 90% were infected with the A strain of the virus, 10% were infected with type B. Half the group took 15 milliliters of Sambucol or and the other group took a placebo four times a day for five days. Patients in the Sambucol group had “pronounced improvements” in flu symptoms after three days: Nearly 90% of patients had complete cure within two to three days. Also, the Sambucol group had no drowsiness, the downside of many flu treatments. Sambucol will not prevent the flu, but will shorten the duration and severity of the flu. In the Israeli study, mentioned above, each day children were given 1/2 tablespoon of Sambucol extract four times per day, and adults were given 1 tablespoons four times per day. It’s important to note that the only form of elderberry extract that has been used in studies is Sambucol , which is based on a standardized black elderberry extract. 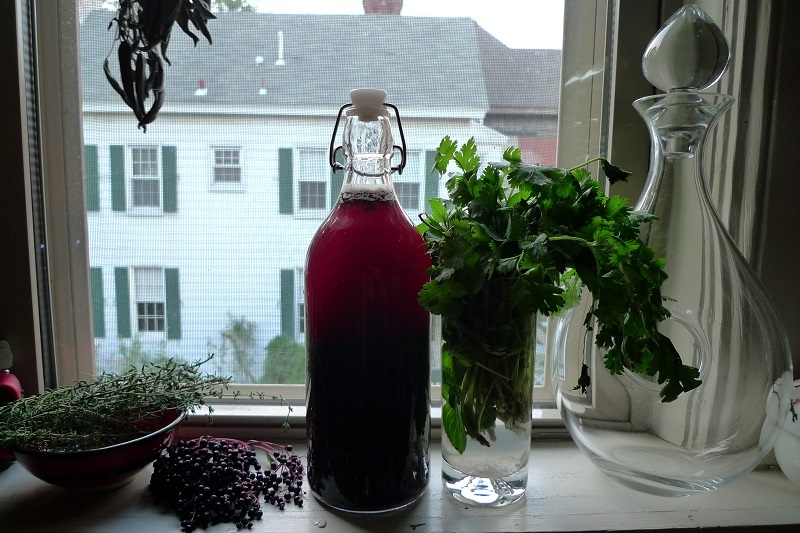 Store your elderberry extract in a cool dry place – we keep our bottle in the refrigerator. Unlike chemical medications, there have been no reported side effects from Sambucol. Although you should always check with your physician before taking this or any other remedy. It is safe for children over 2 and the elderly. No studies have been done regarding the safety of Sambucol during pregnancy or breastfeeding. There are no reported contraindications for those taking other medications, or those who suffer from asthma or high blood pressure. Research is ongoing regarding the use of Sambucol for the treatment of allergies, cancer, inflammatory disorders and HIV. 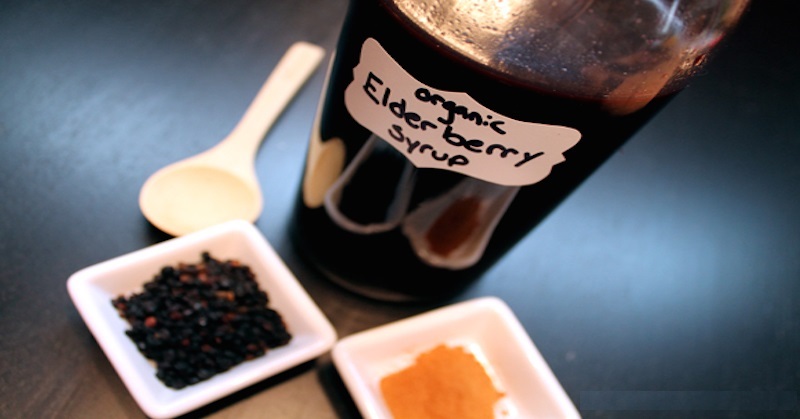 EYC Editor’s Addition: Though elderberry extract is very affordable, I’ve added the video below should you wish to make your own elderberry tincture.